The 1985 Lahad Datu ambush is a series of robbery and random shootings that occurred on 23 September 1985 when 15-20 armed foreign pirates landed on the coast of Lahad Datu and stormed in the town. The pirates shot at random targets, killing at least 21 people and injuring 11 others, and snatched some $200,000 from a local bank as well as another $5,000 from the Malaysia Airlines office. 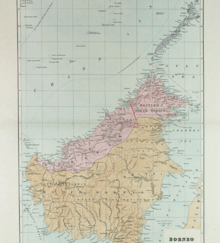 Most areas in the east coast of Sabah are known for many Filipino communities, both legal and illegal. These areas have become the haven for pirates from the Philippines and Sabah itself has suffered 10 major attacks since 1976. On 23 September evening, suddenly a number of armed men clad in jungle green uniforms appeared in the town and started to shoot random targets. The shoot-out left the town with destruction and blood can be found anywhere. One of the victims, who is a pregnant woman, was shot when she was being driven home in a van. The van driver brought her to the hospital but she was pronounced dead on arrival. Another victim, a Chinese, was injured by a gunshot during the raid. During an interviewed with him, he told.. The instability of the Philippines has caused major economic problems for Sabah. Philippine army raids against anti-Marcos factions in the Sulu and Mindanao island have left many houses and fields destroyed, forcing an estimated 100,000 Moro people in the Southern Philippines to flee to Sabah. While many who have not left the Philippine islands have involved in criminal activities, mainly on smuggling and armed robbery. After their successful attempt, the pirates later retreated to a jetty where they engaging a group of Malaysian Marine Police. Two of the pirates were wounded during a gun battle with the marine police which their friends still managed to carry their injured friends into two awaiting pump boats as the pirates made their getaway back to the Philippines. In the next day, the Marine Police launched a surprise attacks on an island which believe to be their hide-out and managed to kill five pirates. While the rest of the pirates have escaped to the international border, the police recovered a numbers of M16 rifles with a whole armoury of assorted weapons. Some ambiguous source alleged on the apparent retaliation, the Royal Malaysian Navy with four ships and three helicopters attacked a Filipino island, bombed the island's settlement, burning houses and killing 53 Filipino residents. The Malaysian Embassy in Manila declined to comment on the report and said the Malaysian embassy has not received any information from the Philippine government or from the Malaysia's capital of Kuala Lumpur. 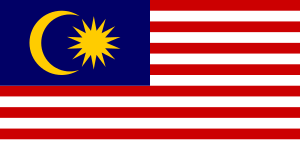 Malaysia – The Malaysian Government denied the reports on the retaliation attack to a Filipino island with both the Malaysian and Philippine government hinted that an unnamed third party was responsible for the incident. Philippines – The Philippine Government protested the Malaysian Marine Police action during the chasing of the pirates to the international border, saying the Malaysian police had breached the Philippines border. However, this allegation was retracted since there were no concrete proofs. 1 2 3 4 5 6 7 8 9 "Lahad Datu Recalls Its Blackest Monday". New Straits Times. 24 September 1987. Retrieved 30 October 2014. 1 2 3 4 5 6 7 8 9 10 Masayuki Doi (30 October 1985). "Filipino pirates wreak havoc in a Malaysian island paradise". The Sydney Morning Herald. Retrieved 30 October 2014. ↑ Clement Jaikul (19 February 2014). "Thoughts on Sabah's piracy problem". The Star. Retrieved 30 October 2014. 1 2 3 4 Ramli Dollah (9 December 2004). "Lanun atau Mundu di Sabah" (PDF) (in Malay). University of Malaya. pp. 176 and 178 (6 and 8). Retrieved 30 October 2014. 1 2 "Moslem community attacked in raid?". Spokane Chronicle. 30 September 1985. Retrieved 30 October 2014.